I know what you are thinking, ''What kind of mother wants sleep on Holi?" I do. Yup! But what happened is the opposite. That's life, isn't it? Anything that lifts your dormant energy (remember, you woke up from sleep, right?) can work to get your morning rocking. What perks me up is the view from my balcony while I make tea.While the tea leaves boil, the view keeps me grounded and calm as I prepare my mind for a busy day. I see the sky light up slowly, the colours deftly changing and the chai is almost ready. I also use this time to take stock of things that I need to buy as kitchen provisions/groceries for the week. There are 'time pockets' as I like to call them, which mark short intervals between activities during a day. I like to use these time pockets to get tasks done, make calls and do little chores around the house, like folding the laundry, cleaning and dusting, checking what bills need to be taken care of and when, sorting out school projects and their delivery timelines but these intervals help to take deep breaths, plan better and finish tasks on time. 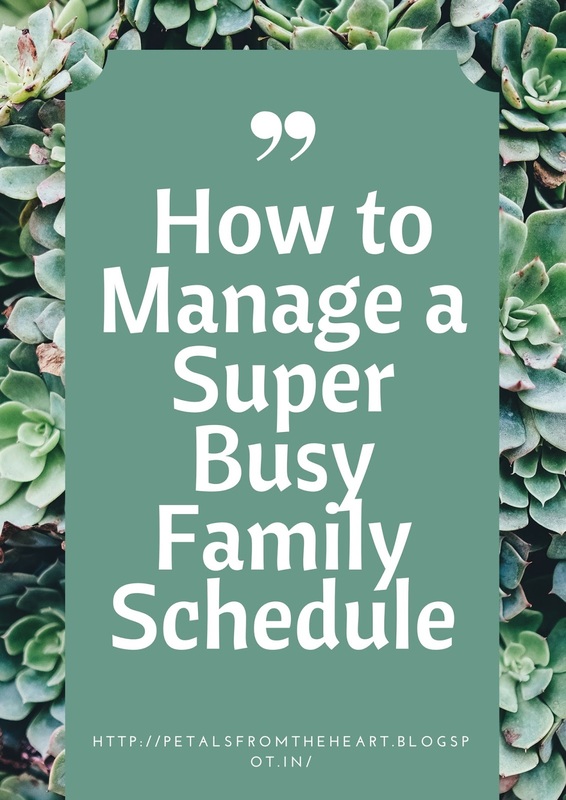 If you are a working mother, you already know that the toughest challenge is to schedule your family time. Week-wise planning helps. I like to factor in slots for 'unexpected' things in advance so that I can also balance it with community related activities as well. My weekends are specifically scheduled with activities right from Friday even to make sure that we, as a family, spend time together. Before I became a mother, weekends were for late night parties and we used to crash back home as late as 2 am, but not anymore. As a working mother, I value the support that I receive from my family. One of the things that helps me get things done is that we have a system of checks and balances, yes - just like in a democracy, where we gently nudge each other on meeting specific timelines on tasks. To do this every day is not easy but being consistent becomes important. Dumping all the work on a woman indicates that something is definitely not right in a family's ecosystem, especially when both husband and wife are working. Nothing brings a family together the way sharing responsibilities does. 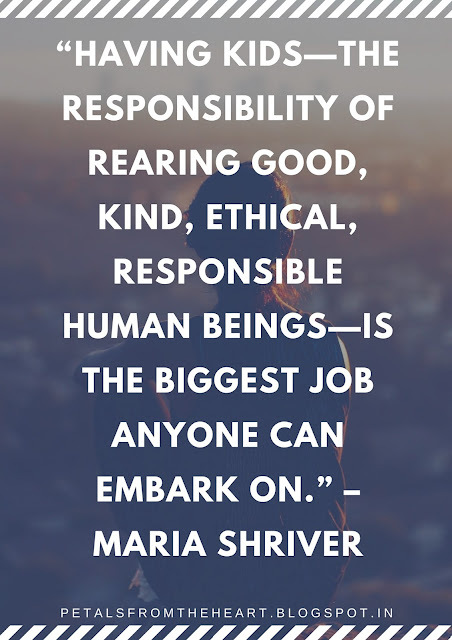 I love the sense of positive energy that shared responsibilities bring to our life. For combined kids activities and birthday parties, carpooling works as it saves considerable time and effort, but I don't try this with all mothers. I keep it to a selective few. The fun part of car pooling is that most kids are so thrilled about this as an activity that they love to coordinate and get it going. From doing things together to spending time together, what matters is to utilise time mindfully and responsibly to create happy moments for our families. Nothing is more important than raising a child responsibly and mindfully. Now do tell me: How do you manage your hectic schedule? Do you have any time management strategies that work well for you? I'd love to hear from you! How do you manage to get your own space and time to write in this busy schedule? @LensQ: Thanks for this question. We all have our pain points when it comes to finding the time to write. Planning, prioritizing and freezing a time slot to write helps me. Awesome and very informative blog. Learn How to improve your Child skills, emotion and increase positive thinking, behavior etc.